Lean Thinking: What Makes a Great Sensei? What Makes a Great Sensei? My last blog (“Beware Prizes, Belts & Self-Appointed Experts”), begs the above question. What indeed is a sensei? You’ll have heard the most common definitions: teacher, mentor, ‘one who has gone before’, and these are all fine. I’d like to illuminate elements of the sensei mindset, at least in so far as I’ve observed & understood. Humility is perhaps its most important element, a sense of the vastness of reality, and the finite nature of human experience. How can anybody who understands this be full of themselves? Beginner’s mind (shoshin, in Japanese) is another common quality – a engaging freshness of thinking, and curiosity. Great senseis respond to new problems or challenges with an almost child-like quality, as if seeing them for the first time. Last time I described Mr. Hayashi, our Toyota OMCD sensei, in his 70’s standing by the Final Assembly line of our old Toyota factory, sketching out countermeasures to problems that he’d been working on for decades. ‘Mind with no mind’ (mushin) – a state achieved when a person's mind is free from thoughts of anger, fear, or ego. The absence of discursive thought and judgment, frees you up so you can react without hesitation. Great senseis, therefore, are not afraid of being wrong or looking foolish. Well into his 80’s, George Kissell, the legendary St. Louis Cardinals minor league manager, scout, coach and instructor would spend hours fielding ground balls with young minor leaguers. Longevity fueled by an inner fire, is another trait common to the best senseis. 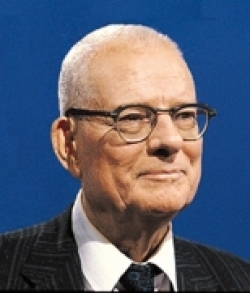 Deming, Kissell, Joe Juran, Shigeo Shingo, Peter Drucker all lived very long productive lives. George Kissell passed at the age of 88 – of a traffic accident, sadly. Had fate been kinder, he’d have been teaching baseball fundamentals well into his 90’s. Great senseis are informed, attuned, inspired by the eternal verities. They hear, see, feel things the rest of us miss. There’s a lightness, a freshness about them. You feel good in their presence. And when they pass, they leave empty spaces where they used to stand.